Plant biochemist and physiologist, Dr. Sciences, Professor, PhD, senior scientist of Institute of Cell Biophysics in Biological Center of Pushchino, Russia. Interests deal with the action mechanisms of biologically active compounds and the spectral methods of their analysis in plant cells. 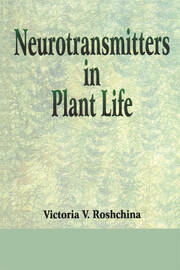 She is the author of 250 publications including 8 monographs devoted to plant excretory functions, roles of neurotransmitters in plants, ozone influence on plant cells, fluorescence of plant secretory cells. Post-GradBiological Faculty of Voronezh State University (1967-1972), Post-graduate student (1973-1976) and then Scientist (1977-1990) in Russian Academy of Sciences Institute of Photosynthesis in Pushchino. Ph.D. and Dr,Science degrees were represented in Russian Academy of Sciences Institute of Plant Physiology (Moscow) in 1977 and 1991, relatively. From 1990 year she is Senior Scientist in Lab. of Microspectral Analysis of Cells and Cellular Systems, Russian Academy of Sciences Institute of Cell Biophysics (Pushchino).